Packaged in handsome, affordable trade editions, Clydesdale Classics is a new series of essential literary works. It features literary phenomena with influence and themes so great that, after their publication, they changed literature forever. From the musings of literary geniuses such as Nathaniel Hawthorne in The Scarlet Letter, to the striking personal narratives from Harriet Jacobs in Incidents in the Life of a Slave Girl, this new series is a comprehensive collection of our history through the words of the exceptional few. 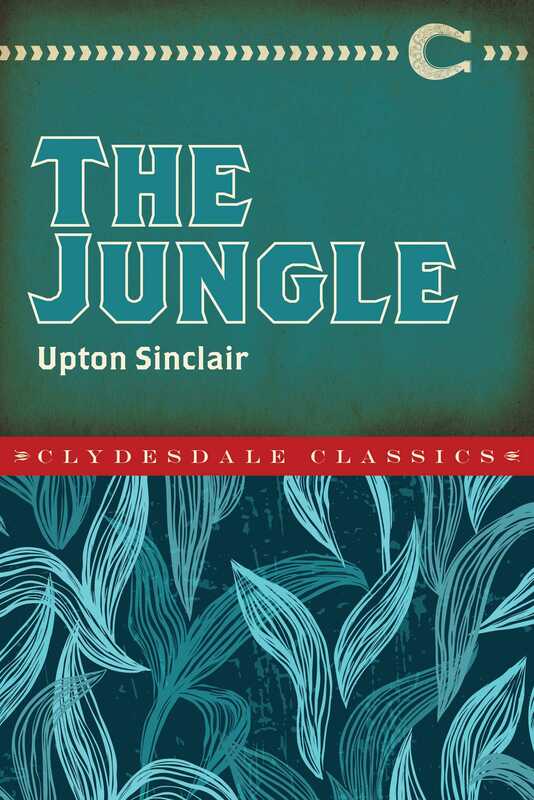 Set in Chicago during the early 1900s, Upton Sinclair’s The Jungle portrays the hardships of the immigrant working class. The story begins with Lithuanian immigrant Jurgis Rudkus, who takes a job at Brown’s slaughterhouse to try to earn enough money to stay afloat. His life becomes a constant strugglehe, his young wife, Ona, and the rest of his family eventually falling victim to a slew of unfortunate circumstances including exploitation, abuse, and for some even death. From unsanitary and unsafe working conditions to poverty wages, the novel revealed to the American public the struggles immigrants encountered in Chicago’s meatpacking industry. Sinclair, a muckraking journalist, penned the bestselling narrative in an attempt to expose the evils of capitalism, and bring to light the extreme adversity these people faced not just in Chicago, but in industrialized cities across the country. By detailing numerous health violations in these workplaces, Sinclair’s novel caused public outrage and eventually led to the passing of the Meat Inspection Act and the Pure Food and Drug Act. The Jungle is an honest, sometimes brutal, tour de force that opened America’s eyes to the struggles and horrors many immigrants endured.